The FIFA Confederations​ Cup is an international soccer event held every 4 years and serves as a prelude to the FIFA world cup. The FIFA world cup is currently ongoing in Russia under the auspices of FIFA. The FIFA Confederations​ Cup since 2005 have been held at the venue where the next FIFA world cup will take place. 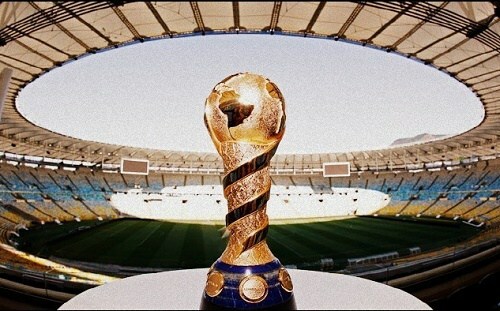 The modern FIFA Confederations Cup is used as a test tournament for the world to test the readiness of the world cup host. The 8 countries are divided into​ 2 groups of 4 countries each with the host of the confederations and the defending champion of the world cup in opposite groups. 2 countries from each group qualifies to the semi finals and winners of the semi finals proceeds to the finals of the confederations cup. The 2017 edition of the confederations cup being held in Russia is of no exception. The group stages of the 2017 confederations cup in Russia have ended with Portugal, Germany, Chile and Mexico going through to the semi finals stage of the competition. With 12 games so far in the competition , 34 goals have been scored with an average of 3 goals. Group stages of the FIFA Confederations​ Cup. The semi finals of the 2017 FIFA Confederations Cup is slated for 28 and 29 June 2017. The country which topped group A will face the country that placed second in group B in the first semi finals and vice versa. Portugal and Chile are both power houses in world football with Portugal winning the 2016 Euro championships while Chile won the 2015 Copa America. Portugal have surprised it’s fans to another amazing performance at the 2017 confederations by edging the host nation Russia and topping group A amidst the presence of Mexico and Russia the host. Portugal and Chile have met 3 times in history with Chile yet to record his first win against Portugal. 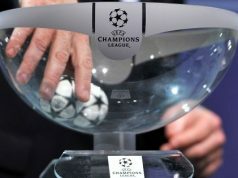 Out of the 3 encounters​, Portugal have won 2 and drawn 1. The last meeting between the two clubs was on 26 March 2011 which Portugal drew with Chile. The major treat for Chile in this game the air power of Cristiano Ronaldo the FIFA best player. The major treat for Portugal are the attacking duo Eduardo Vargas and Alexis Sanchez with Arturo Vidal remaining as an external treat. Chile is highly tipped to win this game capitalising on the inexperience of the Portuguese team and the defensive rock Pepe who will miss the game due to suspension. The 4 times world champions and 3 times European champions Germany will face the 10 times CONCACAF championships​ winners and 1 time FIFA confederations cup winner Mexico in the semi finals of the 2017 FIFA Confederations Cup on 29 June. Germany and Mexico are both versatile countries in terms of international football and have met on 10 encounters​. In the 10 games, Mexico have won only 1 with Germany winning 4 games and drawing 5. In the 2005 confederations cup which was held in Germany, Mexico and Germany clashed in the 3/4 stage where Germany defeated Mexico by 4 goals to 3 after extra time. This time, Germany will be facing Mexico in the semi finals with fairly inexperienced​ young lads. Germany have never won the Confederations Cup in the country’s​ history and are looking forward to winning their tier against Mexico. This game will be a very difficult one as Mexico has a lot of experience players who will utilise the unstable defence of Germany and some poor goal keeping exhibited by Germany. The young German players have strong fighting ​spirit which have being evident in their games and they will go down the wire with Mexico until they win the game. Germany is likely to win this game and make it to the finals​ of the 2017 FIFA Confederations Cup. The finals of the 2017 FIFA Confederations Cup is scheduled to the place on 2 July 2017 and the 3/4 is also scheduled to take place on the same day 2 July 2017. The winner of the Confederations Cup shall get $5 million, the runner up will also get $4.5 million, the third place country will also get $3.5 million and the fourth place country will get $3 million. So far Russia have exhibited readiness to host the 2018 world cup. Russia have given free transport services to all supporters during match days which is very applaudable and football fans around the world are expecting more offers during the world cup which is scheduled to take place a year after.